I have a new “Oldest Worlds Fair Memorabilia” in my collection. 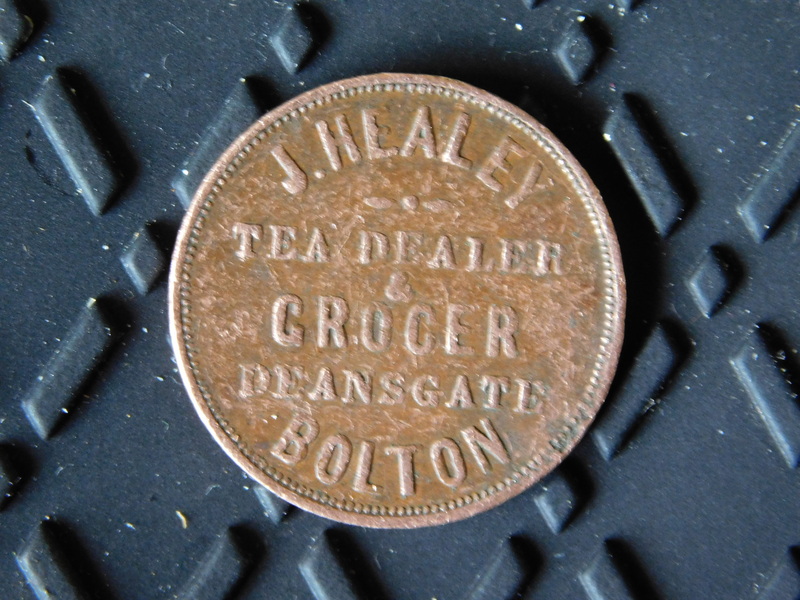 It is a token handed out by J. Healey a Tea Dealer & Grocer on Deansgate in Bolton. Here is the side with that engraved. Some research on these tokens reveal they date back several centuries in England and the coffee house culture. There was a shortage of small coins in the realm so they created tokens for tea and other beverages. Not sure if in 1850s this was still the practice but one has to wonder. My guess is they either were an exhibitor and this was a hand out or they were a concessionaire. The back has an engraving of the famous Crystal Palace and the date of the Exhibition. I found this little treasure on Ebay while doing research on the first World’s Fairs. It is my first Worlds Fair item I bought online. 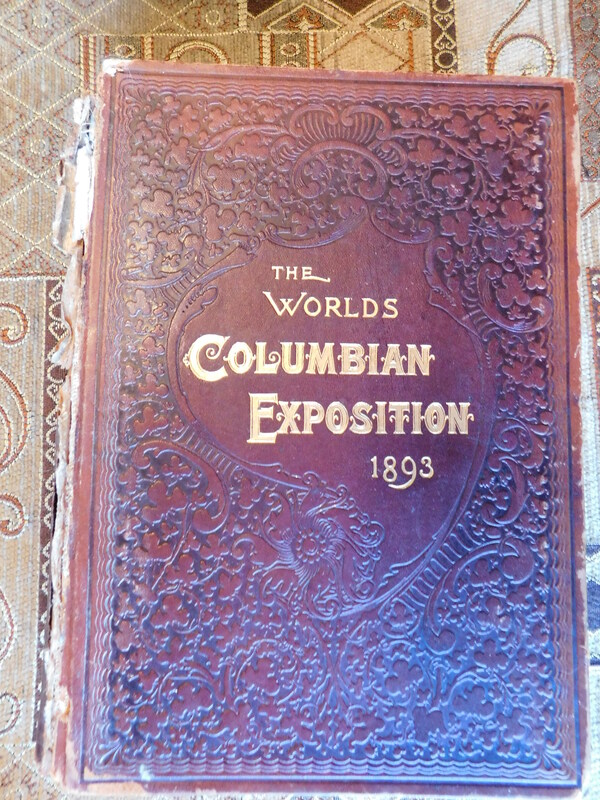 It was a rainy day and I pulled out an old guide-book I have on the 1883 Columbian Exposition of 1893. 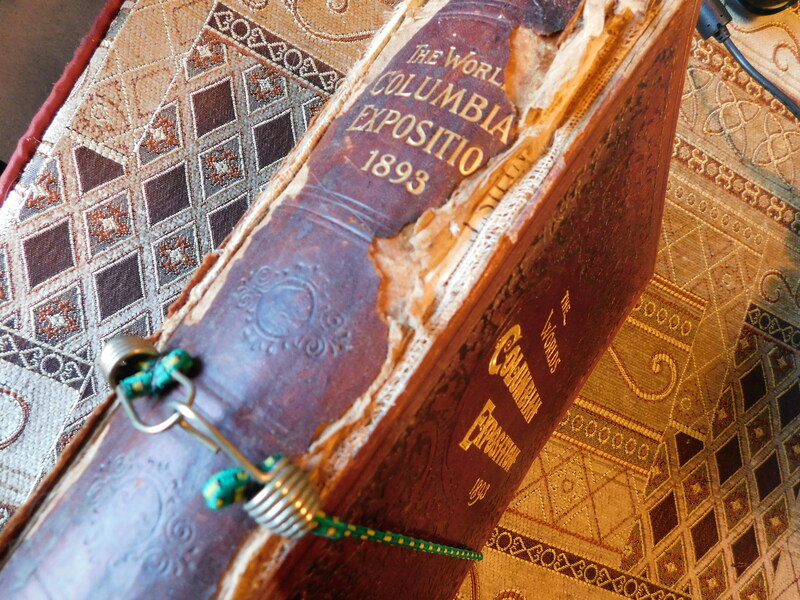 This book has a story of its own. Last year at the last estate sale of the year I ran into this gentleman that I have seen many times at sales since he is a re-seller of old books. He was actually working the sale as a helper in the basement area. When he saw me he said I have something for you. He rummaged around in the back of his pickup truck and came up with this old book. What a random act of kindness that to this day makes me smile. Guess he could not sell it since it is fairly bad shape. The hint is it is held together with a small bungee cord. In this book the second chapter was about prior exhibitions. It contains a wealth of knowledge about them starting with the 1851 Great Exhibition of the Works of Industry of All Nations held in London. Seemed like all the exhibitions tried to compete with this one including a Crystal Palace duplicate in New York in 1853. The Chicago event used information from London to staff, plan and design their event. So, here I was on that gloomy December day reading my old book and researching online about each of the old world’s fairs. 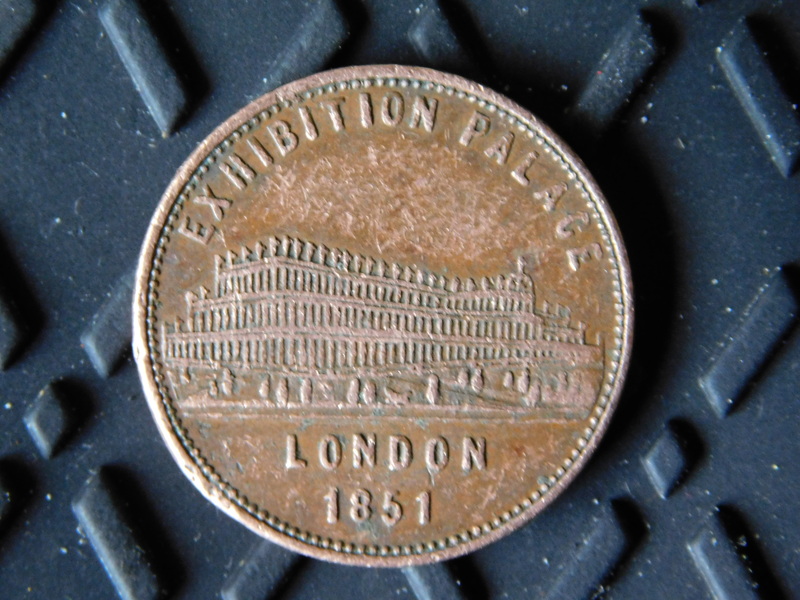 I have always been fascinated by the Crystal Palace and on a whim did an Ebay search. Bam!!! I found this little token at a nominal price from a fabulous seller. 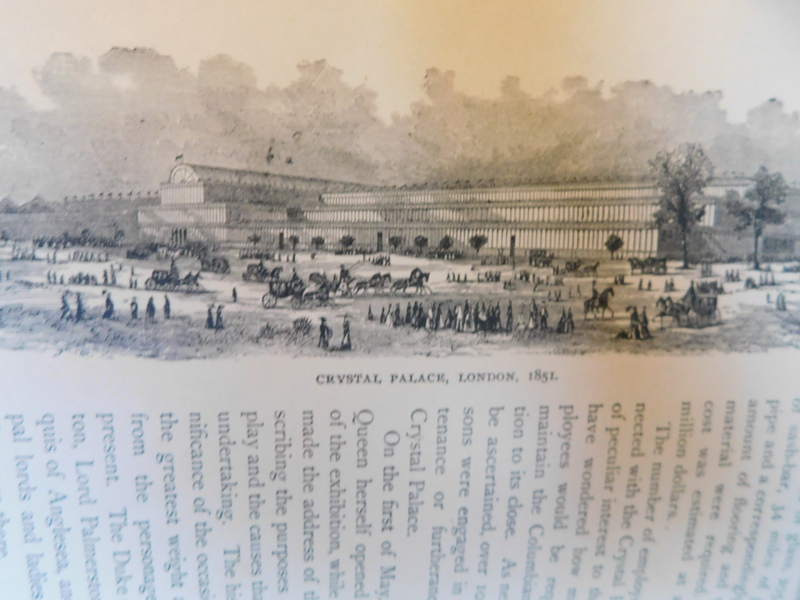 I leave you with the engraving of the Crystal Palace in my book that sparked this find. May your days of treasure hunting and researching history be as fulfilling as mine have been.